At 7:30pm Frederick Belanger was driving on an undivided stretch of highway near Baie-Comeau, Quebec. It was dark. The posted speed limit was 90km/hr. Belanger found himself behind a pickup truck travelling in the same direction. The truck was travelling at a rate of speed of 90-95km/hr. Despite the solid double line on the roadway, Belanger decided to pass the truck. As he manoeuvred around the truck Belanger found himself facing an oncoming vehicle. Both swerved toward the same side in an effort to avoid the collision. Instead they met head on. The driver was killed instantly. Belanger sustained an injury to his ankle and his passenger suffered a broken femur. Belanger testified that he was travelling at about 100km/hr even while passing the truck. Although familiar with that stretch of road, Belanger testified that he was unaware of a dip in the road that could obstruct the view of oncoming traffic. Belanger was convicted after trial in the Court of Quebec of dangerous driving causing bodily harm and dangerous driving causing death. The Quebec Court of Appeal set aside the judgement of the lower court and entered acquittals on both counts: 2011 QCCA 1598. On April 26, 2012 the Supreme Court of Canada granted leave to appeal: 2012 SCCA 477. At trial the judge, referring to Beatty, found that the mens rea requirement for dangerous driving was a marked departure from the conduct of a reasonable driver. 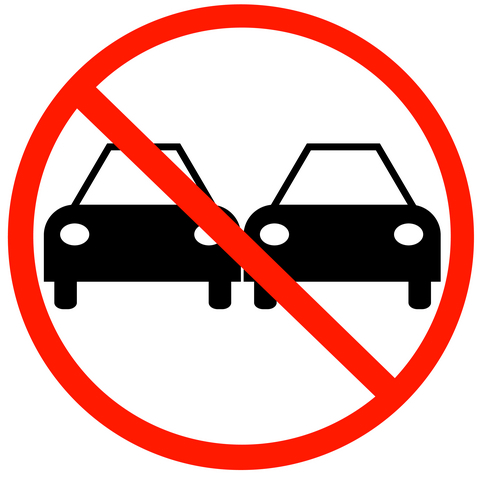 The trial judge found that making the decision to pass, despite the fact that the roadway was clearly marked as a no passing zone, constituted a marked departure from the conduct of a reasonable person. The trial judge rejected Belanger’s evidence that he was unaware of the dip in the road ahead that partially obstructed his ability to see the oncoming traffic. The Quebec Court of Appeal, interestingly, found the accused statement not to be contradictory at all. In fact, the court held that even the trial judge did not explicitly say that she did not believe the accused’s testimony, though this seems implicit in her findings with respect to the contradiction. In this case the Court of Appeal held that the accused could have sincerely believed that there were no on-coming vehicles when he pulled around the pickup truck. The trial judge erred by failing to recognize the possibility that the accused sincerely believed that there were no cars coming and whether that mistake was reasonable in the circumstances. Respectfully, the presence or absence of visible on-coming vehicles is not determinative on the issue of mens rea. The question is whether Belanger’s manoeuvre executed at a 100km/hr, in the dark, in a clearly marked no passing zone, on an undivided two lane highway constituted a marked departure from the conduct of a reasonable driver. The fact that the marked departure resulted in an accident with fatal consequences is a tragic aggravating consequence. However, the decision to pass without being able to see the roadway ahead in a zone which prohibits passing is sufficient to ground the requite mens rea for criminal culpability in this case. In other words with or without the accident the driving was criminally dangerous. The appellate court concluded that on the evidentiary record before the court it was impossible to conclude that Belanger was guilty of a criminal offence. A date for the hearing before the Supreme Court of Canada has not yet been set.